Paul is based in Bristol and covers all aspects of financial planning, including investments, mortgages and protection planning. Paul has been in the financial services industry for around 30 years, and before joining Nexus in 2013, he was an Independent Financial Adviser running his own business since 2006. When not working is a keen golfer. 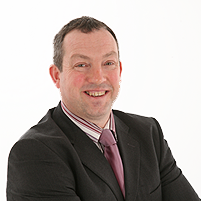 Paul provides financial planning advice on all areas, but specialises in Business protection (Key Person insurance, Relevant Life Policies, Director Share Purchase arrangements and Partnership Protection, Group Death in Service and Group PPP). Providing a good service is important and so we're delighted to receive positive feed back from clients. Here's what a couple them have to say about Paul. Paul Allen is a top, top man in whom I have the highest trust & confidence. Thanks for all that you have done, I will always appreciate it.